You no longer have to venture to the state of Arizona to see the awe-worthy Grand Canyon. Anyone in the northern region of Thailand can instead travel to the next best thing: the Grand Canyon in Chiang Mai. Here is everything you need to know about this man-made ravine. Mad Monkey Tip: The Grand Canyon continues to grow in popularity, so be sure to visit before it is no longer a hidden gem! As we approach the hot season, you may be wondering how it is you can stay cool in the Kingdom. There are a handful of excursions you can partake in to beat the heat. Visiting the Grand Canyon in Chiang Mai is one of these. It is also known as the Hang Dong Canyon and is about 48,000 square meters in size. 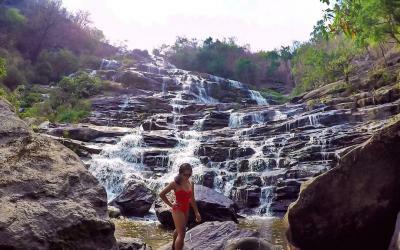 The Grand Canyon is found in Chiang Mai. 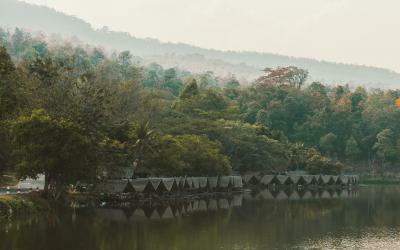 This quaint city is in the mountainous region of Northern Thailand. 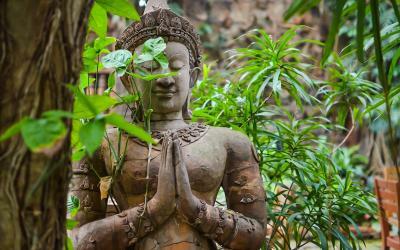 Though the city boasts of temples, a fantastic vegetarian scene, and historic finds, it is also home to many natural wonders just outside the city walls, like the Grand Canyon. 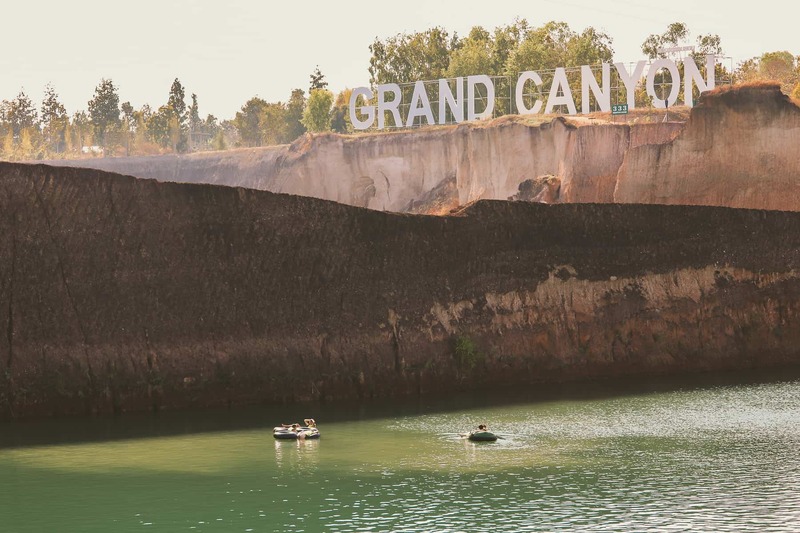 Tourists and locals alike enjoy visiting this amazing quarry, and this is especially true on days when the sun’s heat takes no prisoners. 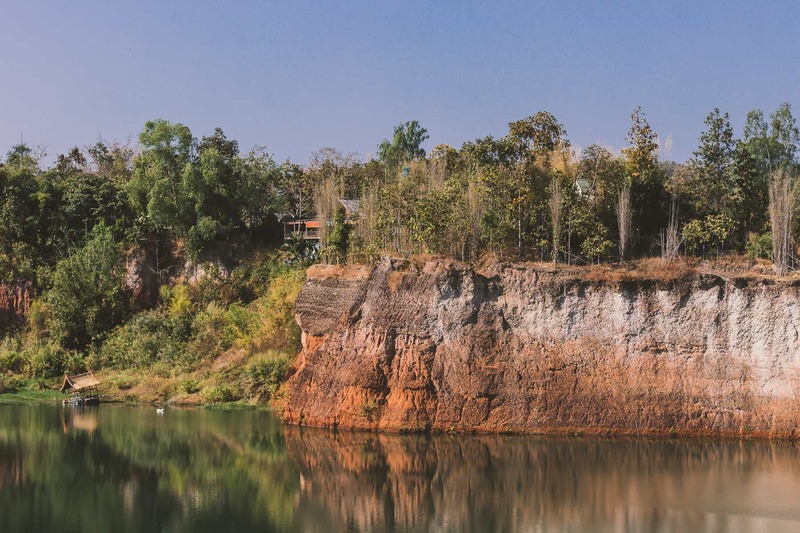 Whether you are a thrill seeker, a foodie, or a do-nothing type of traveller, the Grand Canyon in Chiang Mai is the place to be. The quarry is ready to please all those who visit with the plethora of things to see and do onsite. Are you feeling adventurous? Then jump from the elevated platform on the water’s edge. You used to be able to leap from any towering cliff of the canyon’s exterior, but unfortunately, too many accidents took place and visitors are no longer allowed to plunge as they please. There are employees that are on the platform and at the ready to throw life jackets down after you jump. They are also there in case you do not land correctly (keep your hands and feet straight to avoid slapping the water). You can climb back up the rope ladder and jump again if you are ready for round two! You can also swim to the lounging area across the reservoir. There is an entire green space dedicated to sunbathing and relaxing! Bring your own towel or instead sit in one of the plush lounging chairs. There are two small goals should you want to play a game of football, as well. 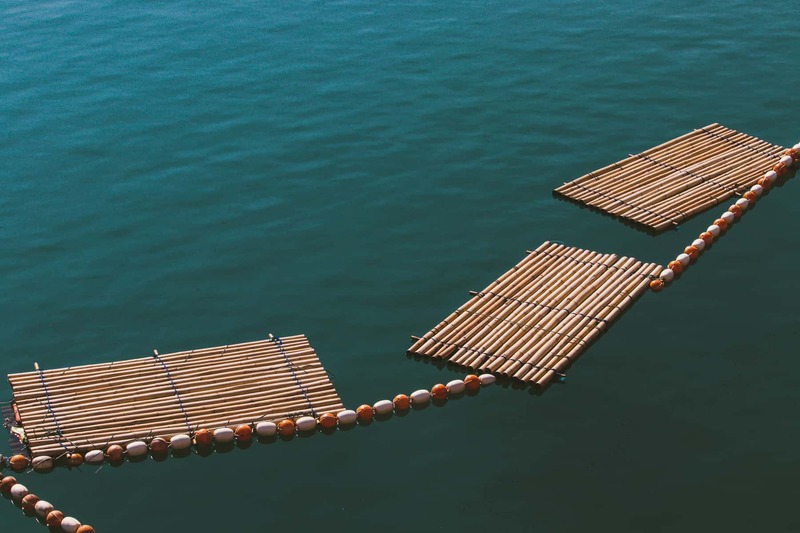 If you want to get in a workout, take to the water (with a life jacket) and swim a few laps. 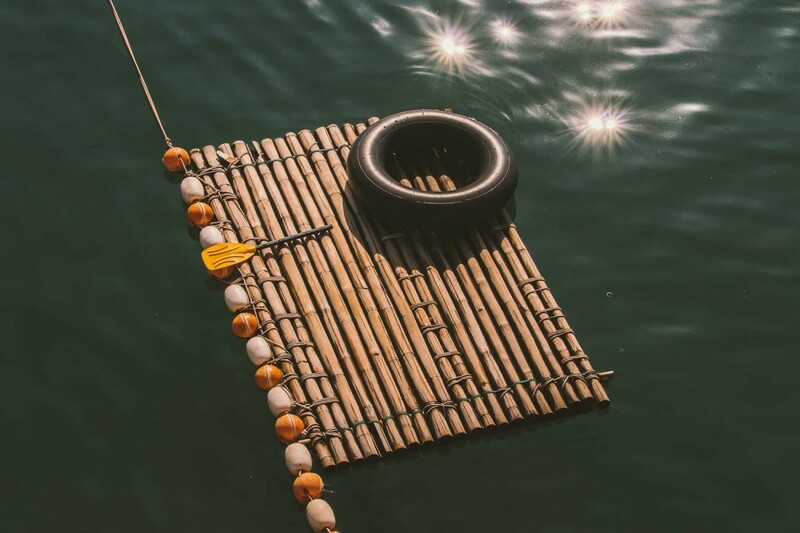 There are also plenty of different water toys you can take advantage of. This includes inner tubes, surfboards, and more. 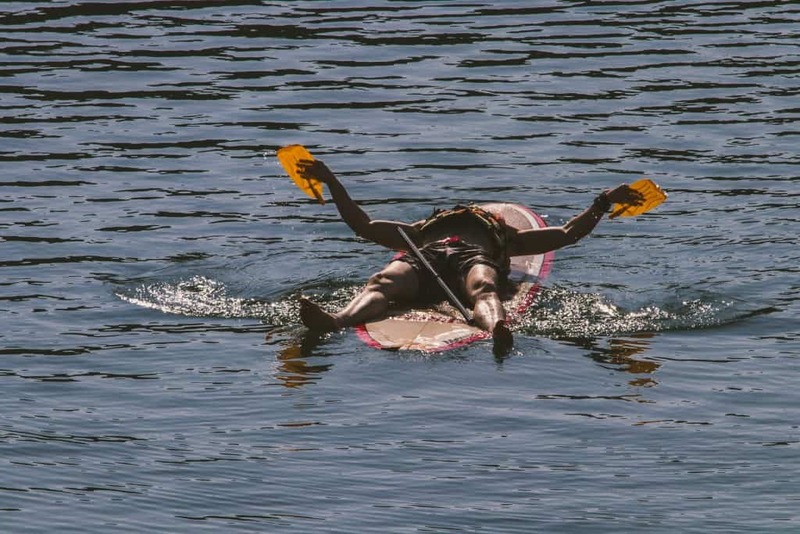 If you happen to break your paddle, as Mad Monkey would say, “no stress, no worries.” Instead, just be like this guy and figure out a way to get back to shore! 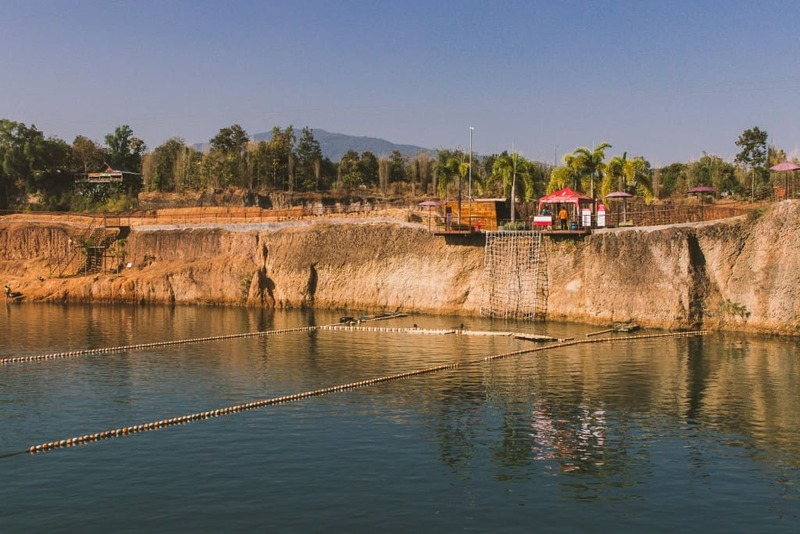 If cliff jumping was not exhilarating enough for your, take to the zip line. There is a slight fee to use it but certainly worth the additional baht. The line stretches all the way from the entrance of the canyon to the other side of the lake. 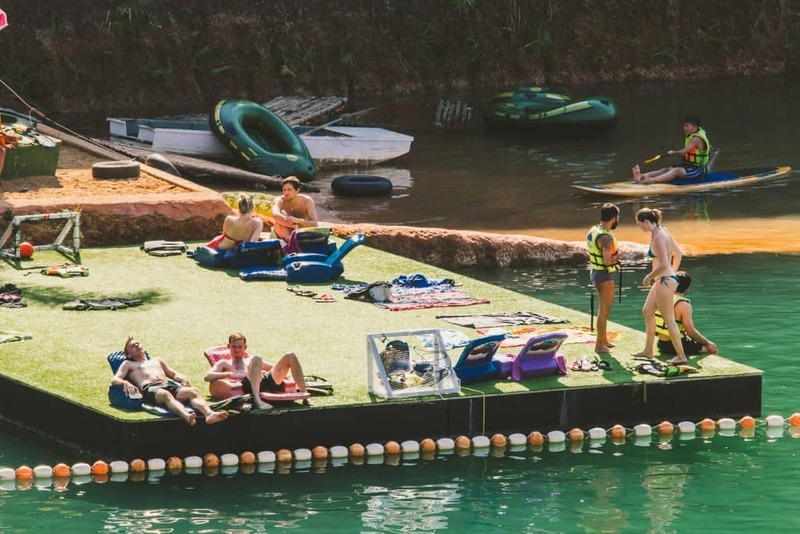 It is the perfect way to kill time for those risk-takers visiting the Grand Canyon in Chiang Mai. If you get hungry, be sure to stop at the Grand Canyon Gamnanboon restaurant. Recommended dishes include the pineapple fried rice (฿189) and the deep-fried chicken with lemon sauce (฿129). 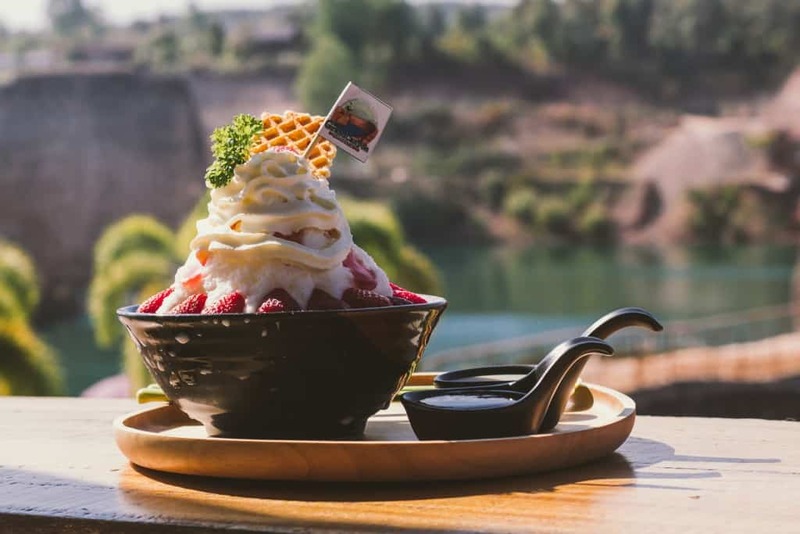 The strawberry bingsu, one of the restaurant’s most famous desserts, is a great way to end your meal. This lavish dessert will only set you back ฿189 (about $6). The restaurant also has plenty of refreshing beverages. These will keep you hydrated throughout your stay at the Grand Canyon. Soak in the views from the ample seating at the restaurant’s exterior with a refreshing drink in hand. 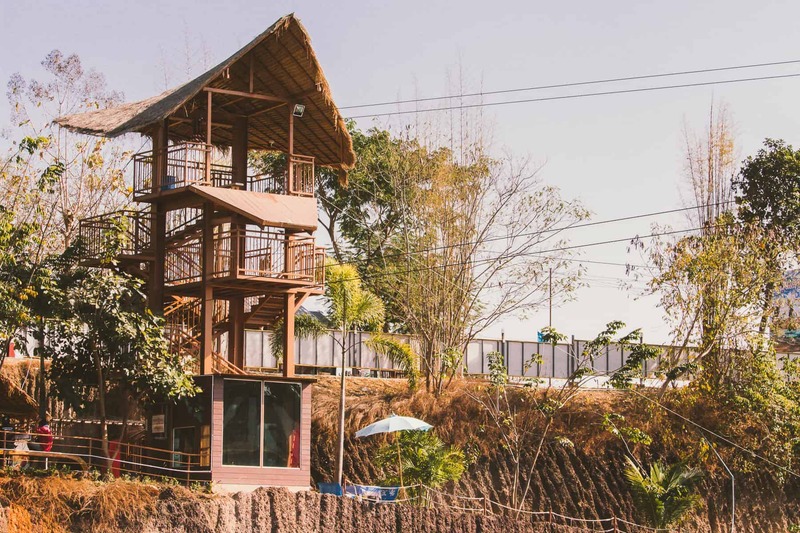 Though the food prices are a bit expensive in comparison to Chiang Mai’s street food prices, the views make up for the slightly elevated costs. If you just plan on lounging (and aren’t driving), there are a few cocktails on the menu, including their mojitos, frozen margaritas, tequila sunrises, Long Island ice teas, and more. 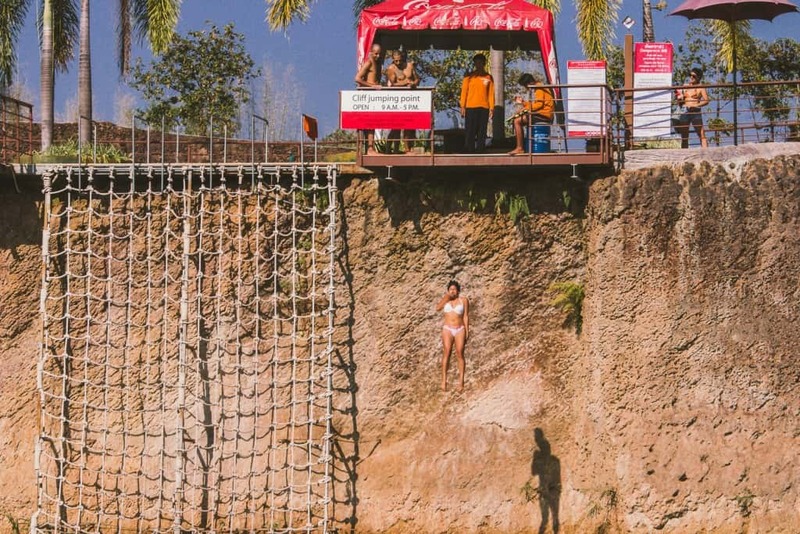 Their signature cocktail is called the Jump from the Cliff (฿150). It is made with Thai rum, apple juice, pineapple, lime, and sugar. 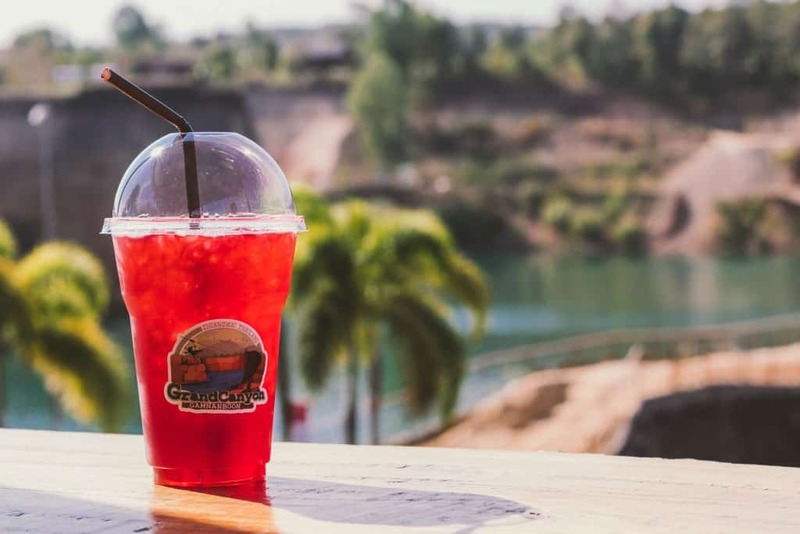 There are also a handful of small shops selling cool drinks and barbequed items next to the water. Hours: Daily from 9 a.m. until 6 p.m. Though visitors flock to the body of water today, this area was not always a tourist attraction. Rumour has it that the privately owned land was nothing more than a field in the early 2000s. A few years later, the owner dug a large hole in the ground. This began to slowly but surely fill with water until it became the glistening lake it is today. People began flocking to the area and swimming regardless of signs prohibiting it. The owner then decided to open the area to the public and turn it into an attraction. Since then, visitors have come, especially during the hot season, to see what the other Grand Canyon is all about. 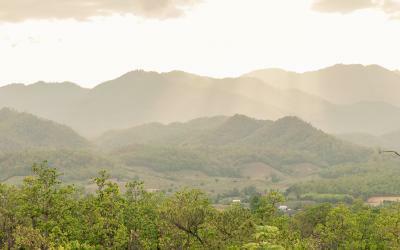 The Grand Canyon is outside of the city centre in the Hang Dong District of Chiang Mai. Depending on how you go, it should take you about 40 minutes to get here. 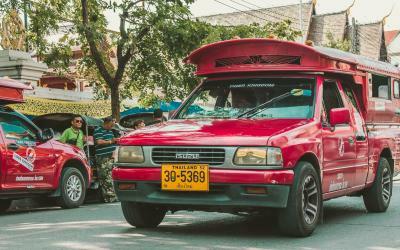 The first and easiest way is to get a songthaew (meaning “two benches”) to take you. The cost varies depending on the number of people who want to go and the driver. You will want to arrange one to take you both there and back. Otherwise, you might be stuck at the Grand Canyon! 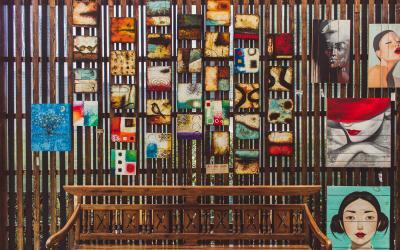 If you want to avoid being overcharged, ask the staff at your accommodation to help you. You can also rent a motorbike. This will cost around ฿300 (about $9.60) for an entire day. Be warned, however, that there are many police checkpoints sprinkled throughout the city. 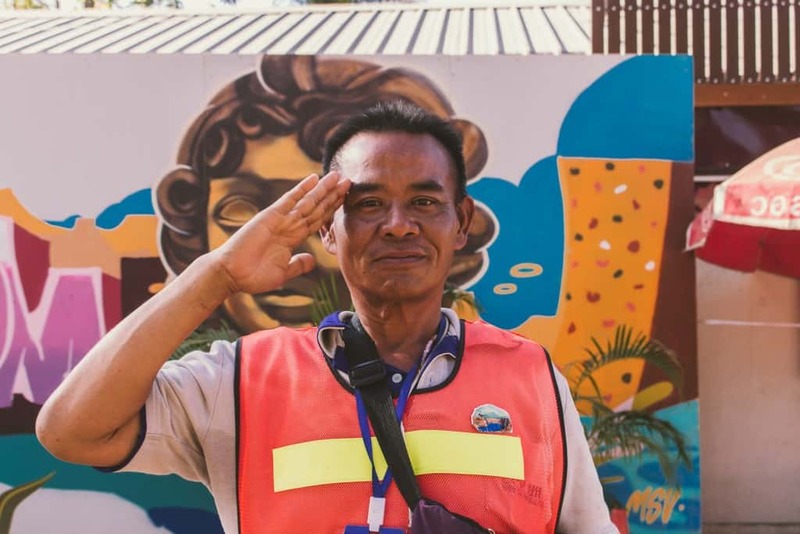 You can get a fine for driving without an international or Thai driver’s license. 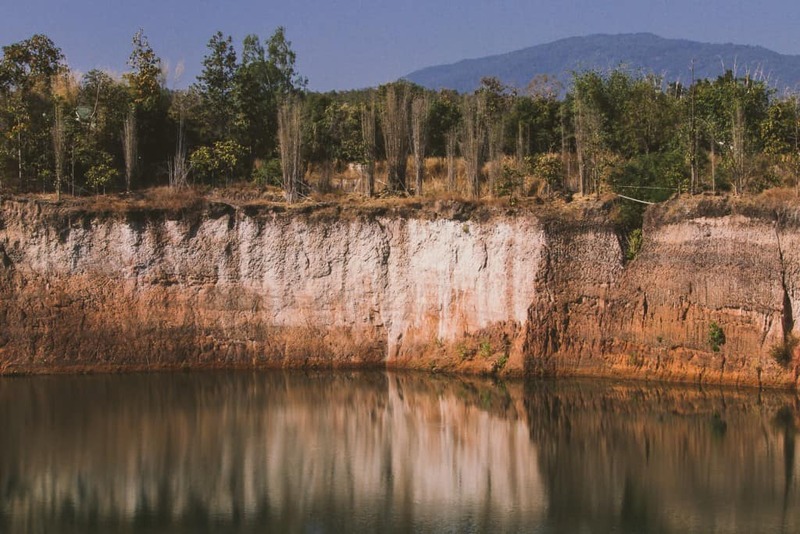 Visiting the Grand Canyon in Chiang Mai can take the entirety of a day. Once you arrive, there is a big chance you will not want to leave anytime soon! If this is the case, be sure to bring along these essentials. Be sure to abide by the rules of the Grand Canyon! If you do not, you may be fined or forced to pay for any damages according to the laws. Here are the rules to look out for! 1. 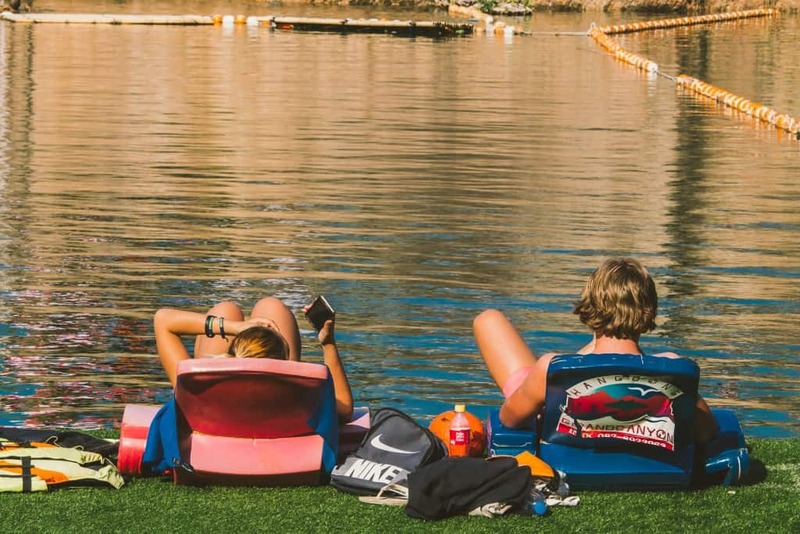 Contact the Grand Canyon staff before swimming if you have any medical concerns. 2. Swimming equipment is available for rent. All visitors should return the equipment in good condition. The owner serves the right to claim any damage costs. 3. Please follow the rules and regulations of using the Grand Canyon. 4. 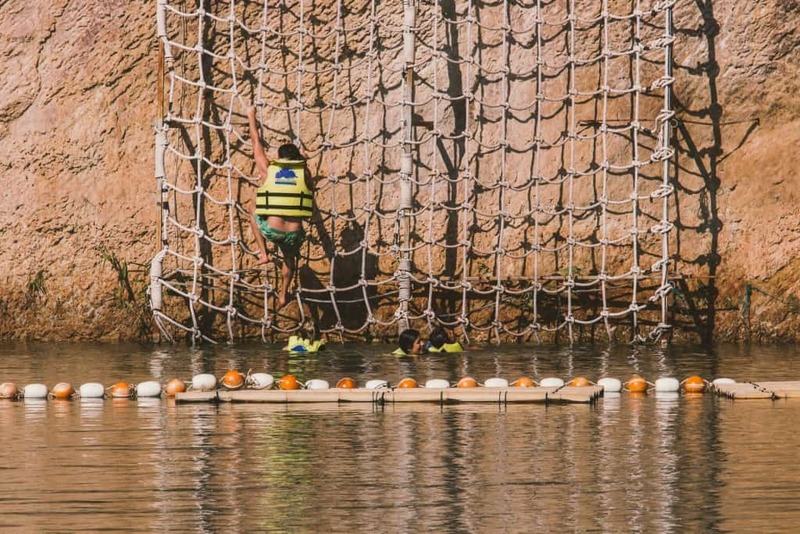 Kids younger than 15 years old are not allowed to jump from the Grand Canyon cliff. 5. Please watch and take care of your kids younger than 15 years old. 6. Please wear a life jacket while you are in the water. 7. Do not leave your children alone. 8. 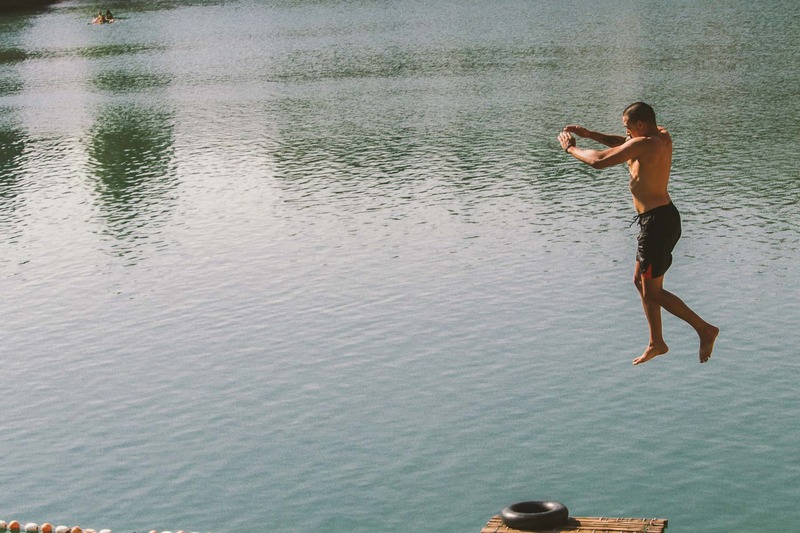 Do not wear denim or garments made of metal material to swim. Please wear proper swimsuits. 9. Do not smoke in the restaurant. 10. It is prohibited to bring any outside food, drinks, or illegal substances. 11. The Grand Canyon reserves the right to close it down immediately. This includes the weather. 12. Do not climb the cliff and please jump into the water only from the specified area. 13. Do not vandalize the venue without permission. 14. Do not create or partake in disputes with other people in the Grand Canyon or surrounding area. 15. 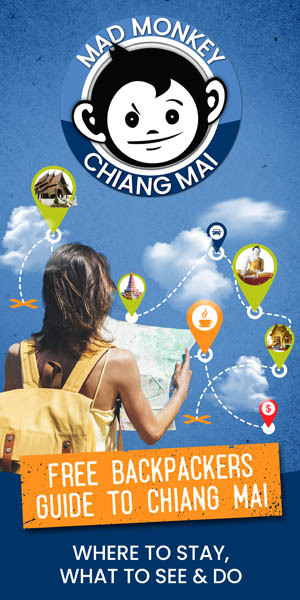 Grand Canyon, Chiang Mai reserves the right to dismiss any visitors who violate the rules. You can be escorted without any refund. Are you looking to cool off in the northern capital? 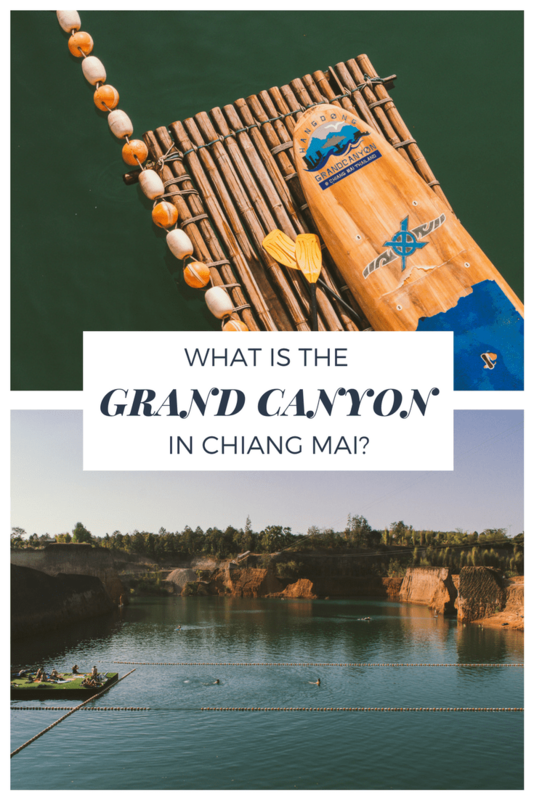 Do you want to know more about the incredible Grand Canyon in Chiang Mai? Then check out the following links! We only recommend blog posts and article we read ourselves, as well.